All phones release radiation, although some emit less while others emit more. Now if the latest study is anything to go by, many popular smartphones are emitting much more radiation than previously thought. 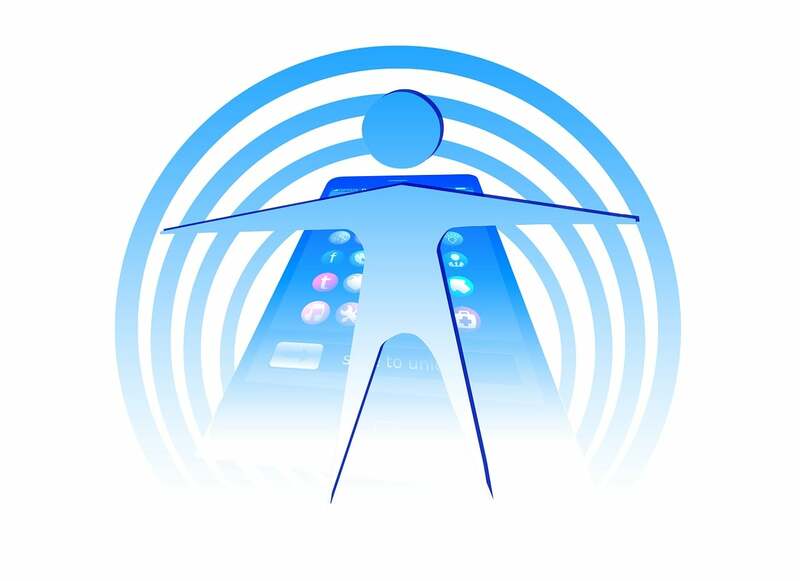 The latest data on phone radiation comes from the German Federal Office for Radiation Protection. Based on this data, Statista compiled a list of the 16 smartphones that emit the most radiation. The phone radiation list is dominated by Xiaomi and OnePlus, while Samsung phones were toward the bottom and iPhones were somewhere in the middle. Specifically, the study measured the specific absorption rate (SAR), which is the amount of radiofrequency waves emitted by smartphones. A higher SAR value, or the more radiofrequency waves a phone releases, the higher the chances of users being exposed to harmful radiation. 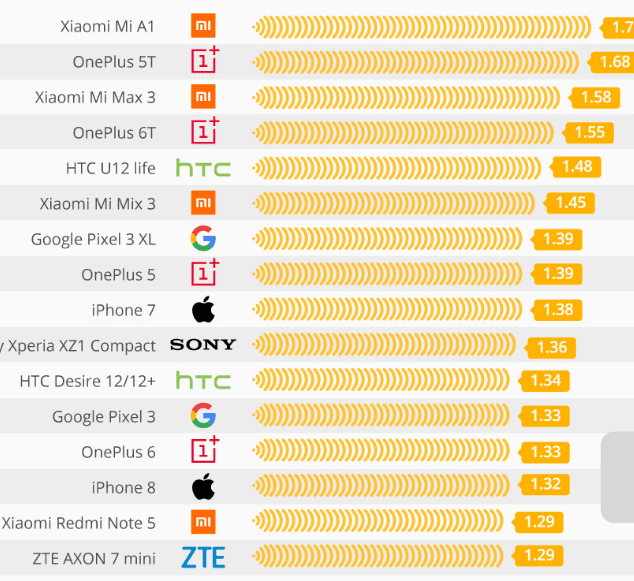 According to the list, Xiaomi’s Mi A1 emits the most radiation, followed by the OnePlus 5T, Xiaomi Mi Max 3 and OnePlus 6T. The Mi A1’s absorption rate is 1.74 watts per kilogram, while the absorption rate for the OnePlus 5T is 1.68 watts per kilogram. The Mi Max 3’s absorption rate is 1.58 watts per kilogram. OnePlus’ latest flagship, the 6T, is also among the top five with an absorption rate of 1.55 watts per kilogram. Overall, eight of the 16 handsets on the phone radiation list were from Xiaomi and OnePlus. The others on the list were from Apple, Google and HTC. The Pixel 3XL took the seventh spot, while the Pixel 3 was in twelfth place on the worst-offenders list. Apple’s iPhone 7, with an absorption rate of 1.38 watts per kilogram, was at number nine, while the iPhone 8 was in fourteenth place. In addition to ranking the highest radiation emitters, the study also ranked the phones emitting the least amount of radiation. This list is dominated by phones from Samsung, LG and Motorola. In fact, Samsung phones bagged five of the top 10 spots on this phone radiation list. The Samsung Galaxy Note 8 was found to emit the least amount of radiation, while the Galaxy S8+ bagged the fourth spot. Samsung’s Galaxy S9+ came in at ninth. Other Android phones on the list include the ZTE Axon Elite, LG G7 ThinQ, HTC U11 Life and Moto G5 Plus. You can view the complete database from the German Federal Office for Radiation Protection here. The SAR value is basically the rate at which the body absorbs electromagnetic waves. Neither the German research agency nor Statista made it clear whether the SAR values are for the head, meaning exposure while holding the phone close to the ear, or for the body, which would refer to when the phone is in a pocket. Statista notes that there are no universally-accepted guidelines for safe levels of phone radiation. However, the “German certification for environmental friendliness Der Blaue Engel (Blue Angel) only certifies phones that have a specific absorption rate of less than 0.60 watts per kilogram. All of the phones featured here come in at more than double this benchmark,” Statista says. The U.S. Federal Communications Commission (FCC) considers a SAR value of 1.6 w/kg or below to be safe. The European government requires phones to have a SAR value of less than 2 w/kg. The amount of radiation phones release don’t really affect our buying decisions, probably because there is no conclusive evidence that radiation from phones can damage the body at the cellular level. There are studies both for and against the impact of phone radiation on humans. For instance, one study by the National Toxicology Program claimed that phone radiation could cause cancer. However, other studies claimed the amount of radiation a phone emits is harmful only to rats and not humans. Nevertheless, it is mandatory for phone manufacturers to declare and display their SAR values. You can find the SAR value of your phone on the information label on the phone’s box. Most companies also show the SAR value on the sticker attached to the phone’s body. You can also check the SAR value on the phone’s specification page or manual on the manufacturer’s website.